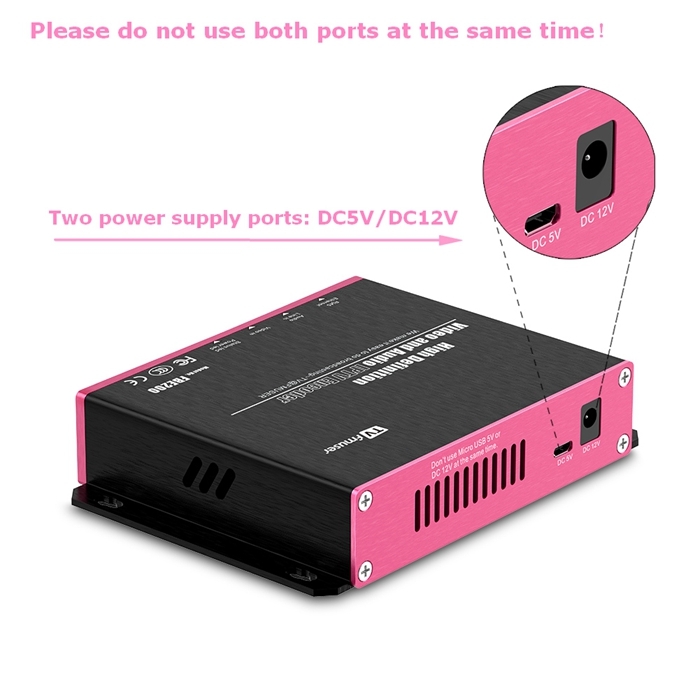 Now 238USD 165USD with shipping!!! 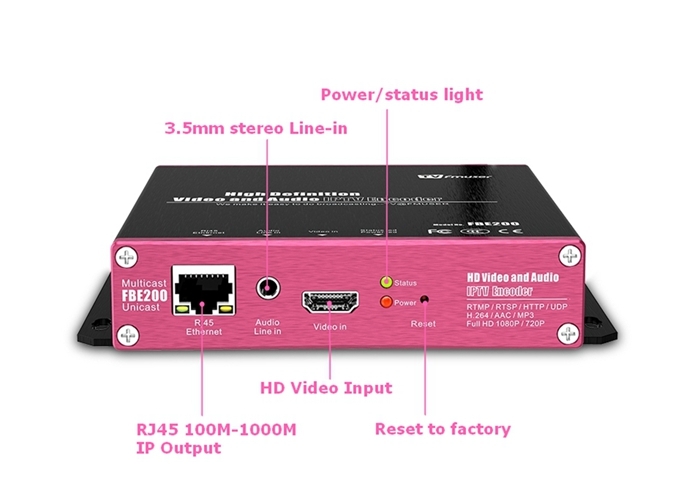 H.265 saves about 30% bandwidth than H.264 on the same condition, this device supports both H.264 and H.265. 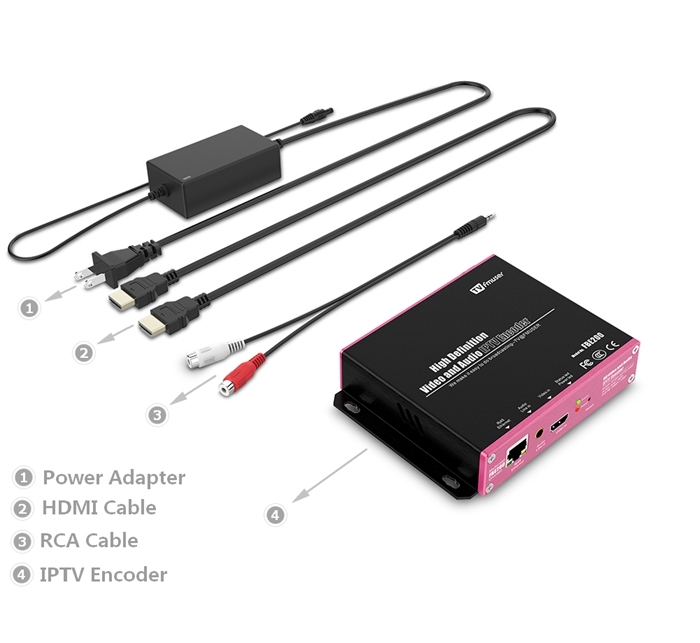 Each channel of HDMI input supports 3 IP streams output with two different resolutions(one higher resolution, one lower resolution) for adaptive bitrate , each group of IP stream supports two kinds of IP protocols output (RTSP / HTTP/ Mulitcast / Unicast / Rtmp). 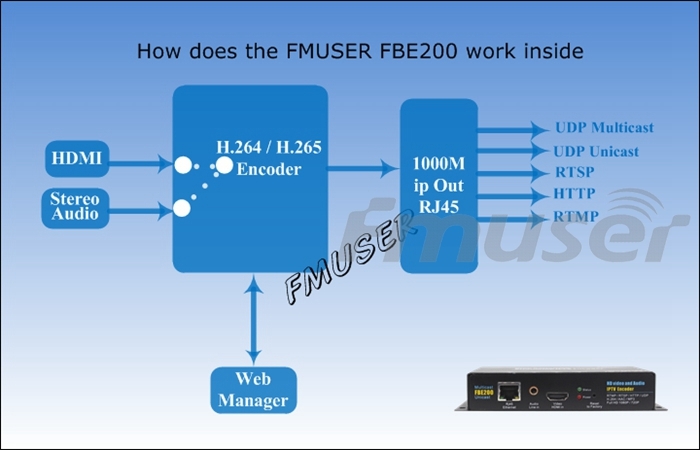 FMUSER FBE200 IPTV Encoder can deliver H.264/H.265 encoding video streams with more channels of independent IP output to various servers for IPTV & OTT application, such as Adobe Flash Server(FMS), Wowza Media Server, Windows Media Server , RED5,and some other servers based on UDP / RTSP / RTMP / HTTP / ONVIF protocols. Of course it support VLC decode. 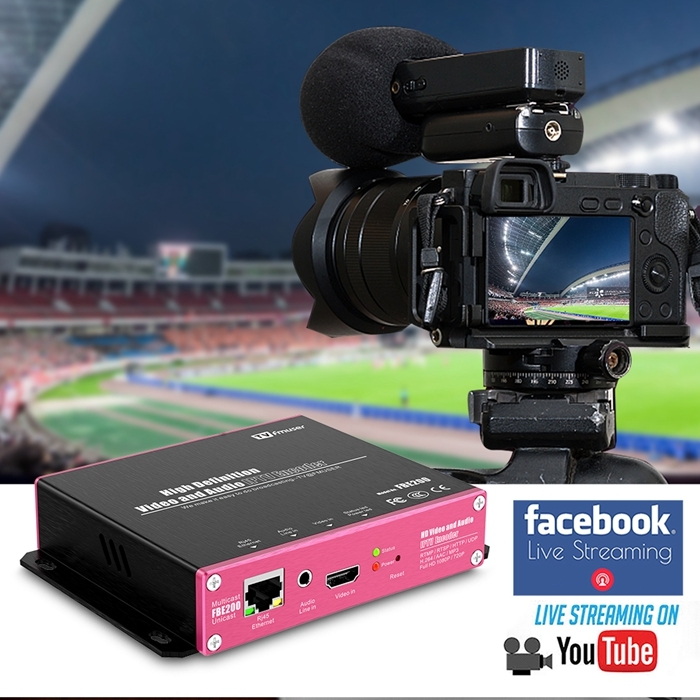 We also have SDI versions, 4 in 1 or 16 in 1 encoders in professional 19' Rack chassis, please feel free to contact us if you need them. 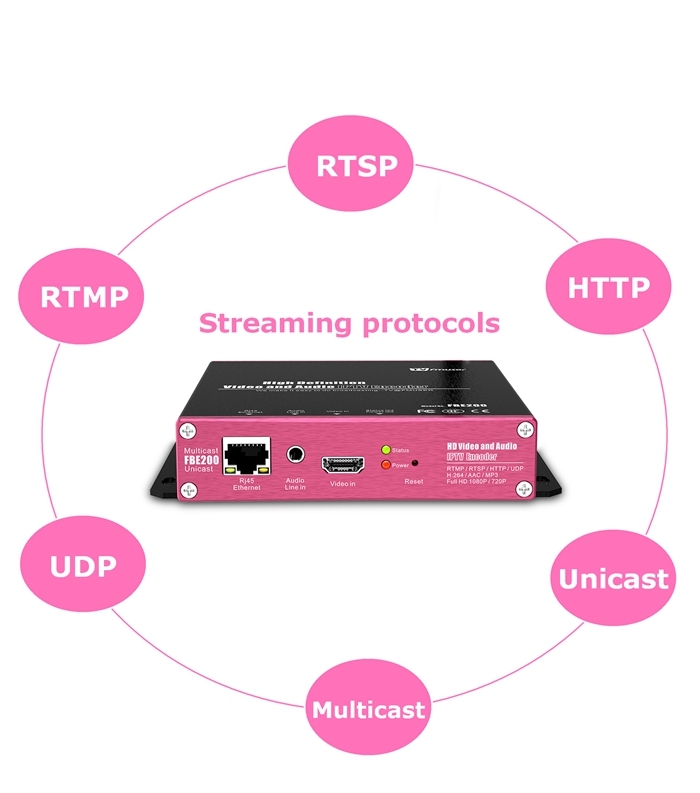 Education Streaming Solutions. 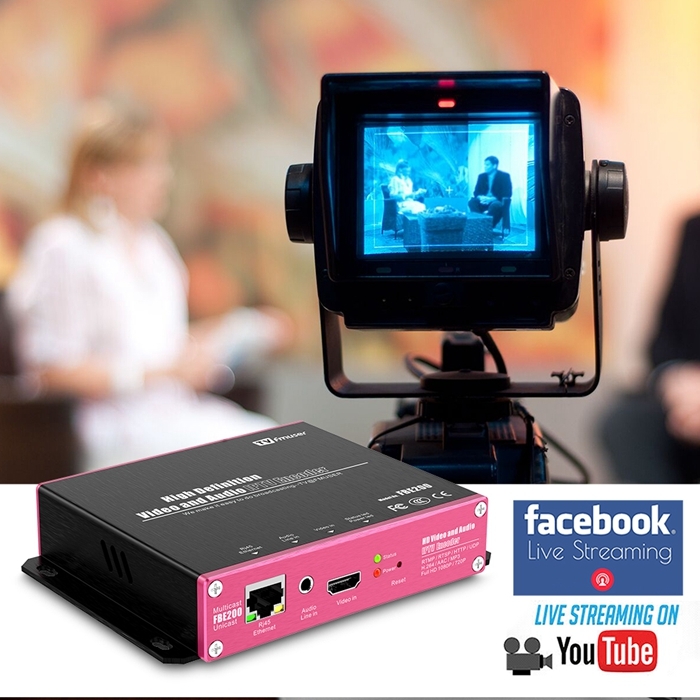 Streaming for the classroom and beyond. Extend your reach. Engage. Make the most of your budget. 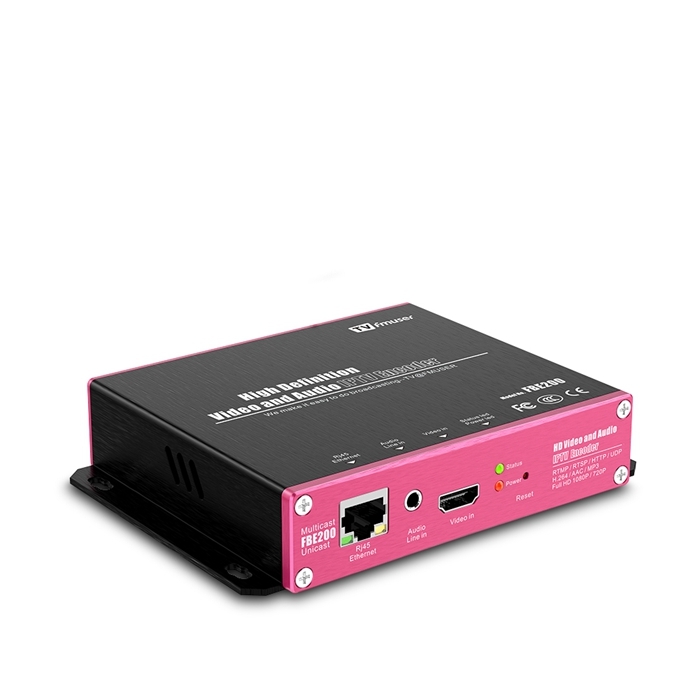 --For each HDMI (SDI) to IP output (HTTP / RTSP / UDP / RTMP protocol) 3 group out with higher resolution(up to 1080P) for large screen application. 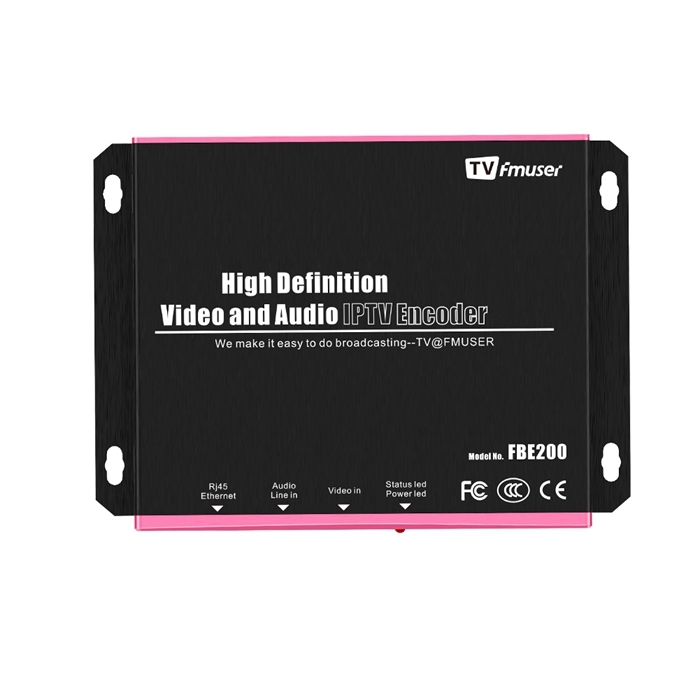 Computer #1 ouputs HDMI to Fmuser FBE200 encoder. 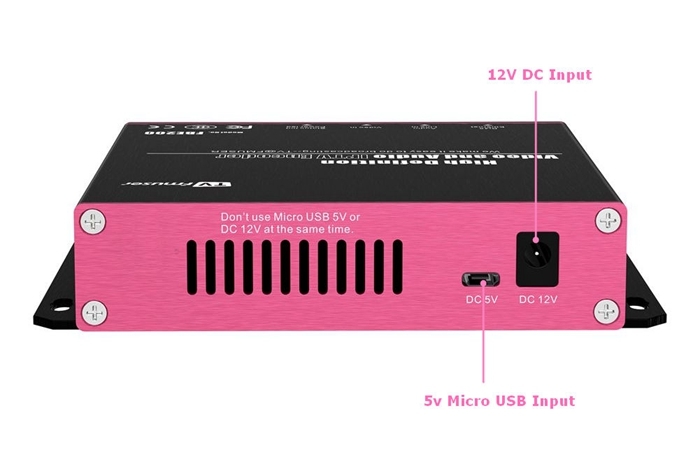 Computer#2 uses VLC to play the video from encoder. VLC sets 300ms of cache.